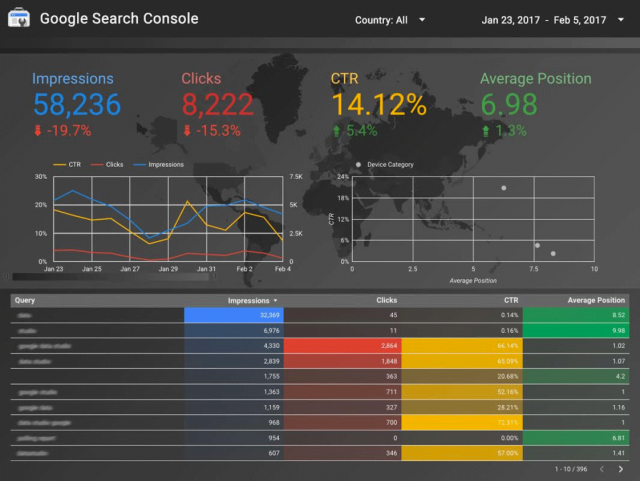 Google announced on the Google Analytics blog that Google Data Studio, Google's free toolset to build custom reports, now has a connector with Google Search Console. Google added a new "Data Studio connector for Search Console," Google said. "With this launch users can pull their data into Data Studio to build reports that include impressions, clicks, and average position broken out by keyword, date, country, and device," Google added. Want to know how to set this up? Use this help document, it will walk you through it.